Amblyopia is more commonly known as lazy eye. Amblyopia occurs when one eye develops differently than the other. For example, if one eye is weaker in focusing ability, the other eye may be used more often. Sometimes, the eyes may be misaligned. Misalignment can cause one eye to “shut off” or close to avoid double vision. It can be difficult to spot amblyopia. Sometimes a child will noticeably favor one eye over the other. A possible symptom is a child frequently bumping into things on his or her right or left side since they cannot see well out of that eye. 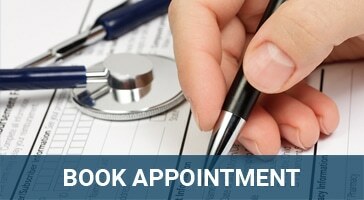 The best way to obtain an accurate diagnosis is to schedule an eye exam between the age of six months to three years. Without early diagnosis, amblyopia can lead to more serious vision problems such as the inability to see in three dimensions or functional blindness in the amblyopic eye. Unfortunately, amblyopia cannot be entirely corrected. The amblyopic eye will always be slightly weaker. It is possible, however, to improve the vision in the amblyopic eye with appropriate treatment to encourage the weaker eye to improve. Treatment includes using a combination of eye patches, vision therapy, and glasses. Sometimes the strong eye may be patched to force the weak eye to develop. Vision therapy can help. If the problem is a focusing error, then glasses may help to correct it. Normally, the cornea is dome-shaped like a baseball. Sometimes, however, it can be irregularly shaped, looking more like a football. When this irregularity occurs, it is known as astigmatism. Astigmatism causes a distorted view when looking at objects which are close-up and far away. The cause of astigmatism is unknown, but it is often associated with myopia or hyperopia and usually occurs from birth. Some believe it is hereditary. 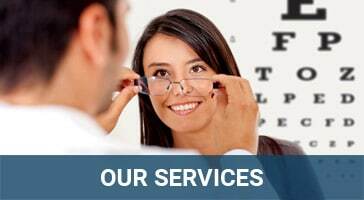 You can also get astigmatism from surgery, eye disease or injury. Mild astigmatism usually does not require correction. For high degrees of astigmatism, you can correct it with eyeglasses, contact lenses, or refractive surgery. Three out of four people who use a computer have Computer Vision Syndrome (CVS). Spending extended periods of time of time in front of a computer causes these symptoms. CVS can cause a variety of vision and other problems. The symptoms include headaches, eye strain, neck and back aches, sensitivity to light, blurred vision, double vision, and dry or irritated eyes. Anyone who uses a computer is at risk for CVS. The severity depends on your vision, the type of computer screen, and ambient lighting. An eye is emmetropic when its optical power is perfectly matched to its length. Emmetropia is the medical term for 20/20 vision, needing no corrective lenses, contact lenses, or reading glasses. It occurs because the optical power of the eye can perfectly focus an image on the retina. Therefore 20/20 vision is also referred to as perfect vision. The opposite of emmetropia is ametropia. With ametropia, the focal point of the eye is a distance in front of or behind the retina. Hyperopia is more commonly known as farsightedness. People diagnosed with farsightedness can focus on objects that are farther away, but they have difficulty focusing on objects that are very close. This is because the eyeball is shorter than normal, which prevents the crystalline lens in the eye from focusing correctly on the retina. About 25% of the population is afflicted with hyperopia. Later in life, hyperopia can lead to a very serious condition, chronic glaucoma. Genetics play a part in hyperopia. Some families have a history of children born with the condition. However, babies usually outgrow the condition. Contact lens, eyeglasses, or surgery can correct hyperopia. Myopia, otherwise known as nearsightedness, means you can see objects close to you clearly distant objects appear blurry. Most people develop myopia in childhood, though the onset can be delayed until early adulthood. In rare cases, myopia can lead to more serious conditions such as retinal detachment. Myopia is genetic. If your parents suffer from myopia, you have a greater likelihood of needing glasses to see things clearly at a distance. If you are work in jewelry or do work that requires always focusing on objects that are close, you can also develop myopia. Presbyopia usually appears in people starting in their mid-to-late 40s. Your eyes start to have difficulty focusing on objects close by. You start to find it hard to read or use a computer. You can correct presbyopia using reading glasses or being fitted for bifocal lens. Presbyopia is a natural consequence of aging that, so far, can’t be cured. Even if a someone has never had vision problems before, they can still develop presbyopia. You may only notice the symptoms suddenly, but presbyopia can take a long time to develop. Symptoms include having to hold things at arm’s length to see them clearly, eye strain, fatigue, and headaches from near work.